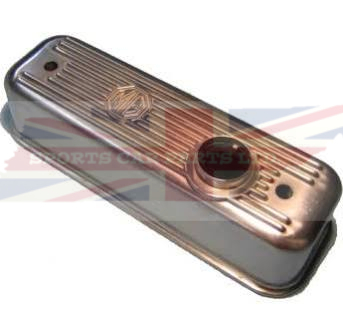 This is a polished finish alloy valve cover fits MGAs, MGBs from 1955-1980. This is a non-vented valve cover. Uses stock oil filler caps. It will also use the vented chrome caps we have part number 8G612CP.